… but what will I write? I’ve written this post as part of Julia Skinner’s 100 Word Challenge for Grown Ups. You can find out more about the challenge here. This entry was posted in Musings and tagged #100wcgu, #challenge. Bookmark the permalink. Oh Pam I do hope this challenge kick starts your writing. So great to see your entry & I have a feeling that those creative juices will be amazing! Good luck! 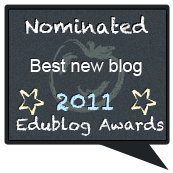 I have my ‘blog’ space simply for writing from these various prompts around the net. Five minute Friday is a good one and there are others. Like you, I’ve had other pulls and have not posted in a year, I discovered today! So I am also hoping to be back. I’ll look for your responses and good luck with your focus! Great to see you back Pam!